Nobody burrowed more deeply into a song than Otis Redding -- hands down, the most emotive, soulful singer the '60s ever produced. Redding's impassioned, sweat-soaked delivery kept him straddling both pop and soul charts until his untimely death in 1967. 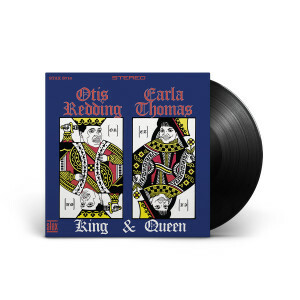 Here is an exact reproduction of King & Queen, a 1967 duet album with Carla Thomas. Everything is taken from the absolute master tapes in knockout stereo. Fa-Fa-Fa-Fa-Fa-Fabulous!